You are currently browsing the category archive for the ‘Sergei Eisenstein’ category. 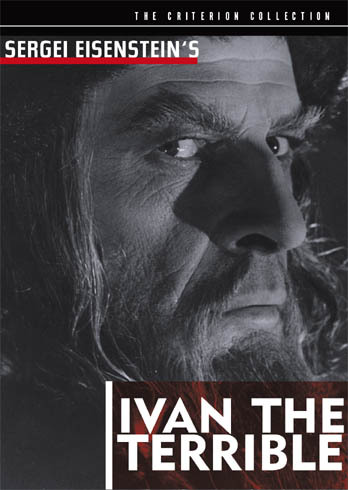 Ivan is beset on all sides by sinister profiles, all German Expressionistic shadows and angles. When Ivan, nearly dead from illness, asks the boyars to pledge allegiance to his son, they turn away, one by one, and this betrayal is almost too much to bear. The illness itself may have affected his brain. Or perhaps it was the death of love — his wife, Anastasia, poisoned by politicking boyars, though, historically, her actual cause of death is unknown. We may never know what drives someone over the edge. Eisenstein died of a heart attack before he could complete the trilogy. I wonder if the answers are in that third film: how a man becomes cruel, how he becomes a killer. Today marks the end of the military’s “Don’t Ask, Don’t Tell” policy. I remember when Bill Clinton issued the directive. I had just started college and attending meetings of the gay student organization. DADT, at the time, was a terribly disappointing compromise, though, in retrospect, necessary. Clinton’s promise to repeal the ban altogether would never have passed, given the hostile climate in Congress and from the Joint Chiefs of Staff. I came to know two gay ROTC members: a short, curly-haired lesbian from Georgia, Noel, and Patrick, a good-looking, blonde. They took pride in their service but knew the possibly consequences if they were ever discovered. I imagine them marching in uniform the way I’ve seen ROTC students practice their formations on campus nowadays. I never knew what become of Noel — she transferred to another school — and Patrick hinted that his military career would continue after graduation. In The Best American Short Stories 2006, Tobias Wolff’s story, “Awaiting Orders,” deals with DADT. In it, an army sergeant hesitates calling his boyfriend a ‘partner.’ His fears of discovery and blackmail overcome his desire to reach out to the sister of a deployed soldier. I wonder if this is what life was like for Noel and Patrick. The need to hide. The end of the policy came with little fanfare, which was what the military had wanted. Just another day in the war machine. In the media, however, there’s been a small flurry of stories: a Navy lieutenant who wed his partner at the stroke of midnight in Vermont to mark the end of the ban; soldiers coming out to their comrades, superiors and families; remembrances of soldiers who could not. The damage has already been done, though. Late in Alexander Nevsky, the scene that follows the kinetic battle on the iced-over Lake Chudskoye slows the film to plaintive pace. 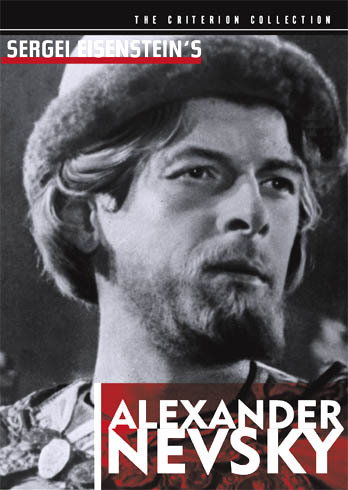 Prokofiev’s score takes an operatic note. 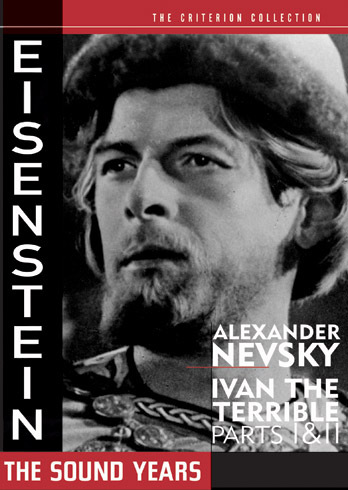 Eisenstein scholar David Bordwell calls the music a “threnody.” Wounded and dying soldiers, German and Russian alike, lie heaped upon the ice, and Eisenstein tracks across them diagonally. One lifts his head momentarily before crumpling face-down. On the ice, torches appear, carried by women who peer into the faces of the fallen. One man rises long enough to say, “Maria.” As the women move from body to body, another soldier says, “Izaslavna.” Another: “Anastasia.” “Sister.” Wives, family members, all of their beloved: their last breaths. On the field of battle, a mother collapses on a body lying in the snow. All the years the ban was in effect — how many gay soldiers weren’t able to speak the name of their beloved, even at death? Who carried torches for them? Who was allowed to mourn them? This was the real tragedy of the policy: silence. Even in grief. Back in Colorado, Matthew used to chide me whenever I admitted to getting lost: “All you have to do is look around. The mountains are always to the west.” And I’d look, and sure enough, there were moutains, their bottom halves swathed in the infamous Denver ‘brown cloud.’ So, on those rare occasions — no more than twice a week — when I got lost, I located the mountains. The jagged peaks, the zipper separating the country. I’d never done much mountaineering, but other people I knew racked up Fourteeners like mosquito bites. I found found the mountains and thought: Now, where was I going again? The radio has been full of stories about 9/11, about the Twin Towers as a landmark. Not as historical or architectural landmark, but a geographical one. Anywhere on the island, people said, you knew where south was. For me, I’d never been to the Twin Towers. I’d never ridden all the way to the Windows on the World, and I never got the chance to see the city spread below me. From there, I think, I could have memorized the whole of Manhattan. So yesterday, on the 10th anniversary of 9/11, after a late dinner in the West Village, I stepped into the humid night, when rain had not yet fallen, but everyone had an umbrella, just in case, and for a moment, I couldn’t remember which way I had come. I hadn’t come to attend any of the memorials; instead, the whole city had become a remembrance: ribbons tied to chain-link fences, candles and stuffed animals, notes written to complete strangers. And if that wasn’t enough: in Penn Station, soldiers with automatic weapons slung low on their shoulders, German Shepherds sniffing around. Chalkboard signs outside of bars advertised NYPD and FDNY — ASK INSIDE FOR SPECIALS, and, at John’s Pizzeria, a group of men in crisp dress uniforms queued for their slices. I looked around and saw a bright light in the sky, cutting the low, grey clouds over the skyline into radiant slices. That must be south, I imagined. That must be the Tribute in Light. A new landmark, 88 searchlights aimed into the sky, a landmark of what was no longer there. And with that, I re-oriented myself. Better than a sharp stick in the eye!